One of my top grocery shopping tips is stop shopping by the price, shop by the pound or the ounce. This is the only way to judge how much something really costs. I generally will buy whatever has the best per pound price unless these two conditions exist : 1) the more expensive item is far superior is flavor and quality or 2) the cheaper per pound item comes in a size that I won’t use in time for it spoils. It’s easiest to shop by the pound when the price pound is right on the package and you don’t have to bust out the calculator. Like you do when shopping for beef. 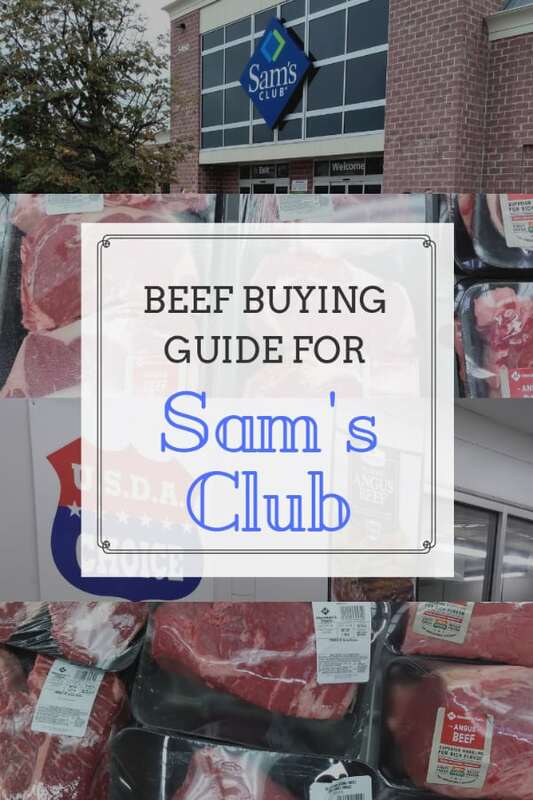 I have had relative success when it comes to traffic for my Beef Price Listing for Costco (also have one for Meijer), I thought I would do the same for Sam’s Club. I popped into the local Sam’s Club store on Thursday, March 20th, 2014 and recorded the prices I found. I have since updated that list. Last update was on October 8, 2018. All the beef cuts were choice beef. The store I looked at was in Ypsilanti, Michigan, prices could vary in other parts of the country. You will also find some tips on what to do with these cuts. 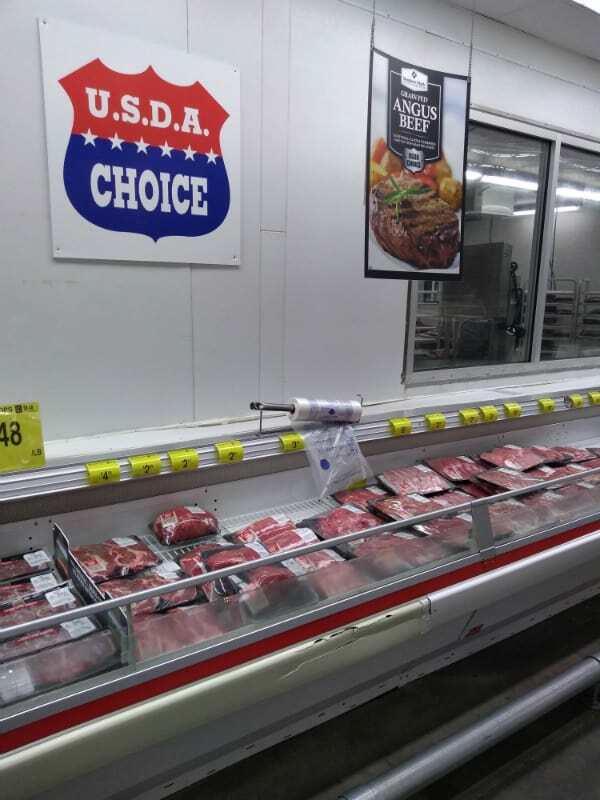 All the beef I found at Sam’s Club was USDA Choice. This is the best beef cut for BBQ and smoking as well as what it used for corned beef. Check out my post on How to Quickly Brine/Cure Corned Beef. This is the price for an entire ribeye that's a siginficant chunk of beef!. The price per pound is really low for ribeye. You can cut it up for steaks or roasts. Last time I went there I didn't see any whole ribeye was I was unable to update the price. There is a $1.40/lb price difference between the already cut steaks and just buying the whole Ribeye. Want to buy the whole tenderloin and cut it up yourself. It will cost you under $12 per pound. My favorite recipe is Alton Brown's Tenderloin Roast. This is one of my favorite steaks. I like the flavor and it's cheaper than a Ribeye or T-Bone. Try Broiled Sirloin Steak. What I like about the flank steak is that it takes marinades exceptionally well. Excellent broiled or used for fajitas. This is cut is often referred to as London Broil. It does best with a slow cooking method as it's a tough cut. Wonderful for stews and BBQ. They are fatty and tend to give me heartburn thus I rarely cook them. If I want BBQ I would opt for brisket as I can better control the fat content by cutting off any extra fat. A cheap steak that can be tasty if cooked perfectly. The steaks were selling for almost the same price $2.69/lb. Don't be confused by the word sirloin. This is actually from the round but close to the top sirloin cut. It is not as good as top sirloin it is more tough. Buy the entire roast and save $.60/lb. Sirloin Tip Roast cut into steaks. They are good when sliced first marinated for 2 hours and cooked quickly with high heat. A boneless roast that is perfectly for finger licking good pot roast. Sear it and cook it low and slow. Check all of my Pot Roast Recipes. T-Bone steaks are mostly a strip steak with a t-shaped bone with a little bit of the tenderloin clinging to the bone on the right side. Great for the grill with some homemade steak sauce! Also referred to as a New York or Kansas City Strip Steak. Fall somewhere between Ribeye and Top Sirloin in taste and price. Leftover pieces of beef sold for stew. Hard to tell the type and quality of these pieces. I would only cook low and slow. A cheap roast that can be satisfying when prepared right. Check out How to Cook a Tender & Flavorful Bottom Round Roast? I have found that since I created this post 4 years ago the price of most of the beef at Sam’s Club has actually gone down. As important as it to pick out the right cut of beef and what do with if, it’s equally important to choose how your going to season it. And it always started with salt. Of course you can get salt at Sam’s Club, but what they offer isn’t anything special. For that I turn to Thrive Market. Thrive is an online shop for organic, healthy, natural, all those fun words ingredients. The salts (HimalaSalt, Celtic Sea Salt, Real Salt to name a few) you find in my pantry are available from Thrive Market. Get an extra 25% OFF your first order + a 30 day free trial membership when you sign up at Thrive Market! (Valid on orders $49+, max $20 discount). Pairing Sam’s Club and Thrive Market together is a great way to save money and have access to bulk and organic/healthy ingredients at the same time. Before we close this post out, I wanted to share with you my favorite tools to have one hand when cooking beef. Instant Read Thermometer – Want to know exactly when you steak is medium rare? Check it’s temperature with an Instant Read thermometer and never worry about when your steak is done again. Probe Thermometer – This type of thermometer is what I use when roasting any large chunk of beef in the oven. You can stick the probe in and close the door on the cord. If you are looking to learn more about meat in general, you need to check out the Niman Ranch Cookbook. It has a lot of great recipes, including some from premier restaurants. But it’s teaching book as well it will teach you how cows and other animals are raised and how to cook them all. Make sure to check out what I call the Best Book Ever Written on Meat. Want to learn more specifically about shopping for Ribeye steaks. Make sure to check out the link below. Just because the label of Choice is placed on a piece of Beef does not tell the whole story. You must take into account the “Trim”, the different levels of “Choice”, what the “Maturity” of the Cattle……Just because the price is “less” doesn’t always make it a “good” deal. 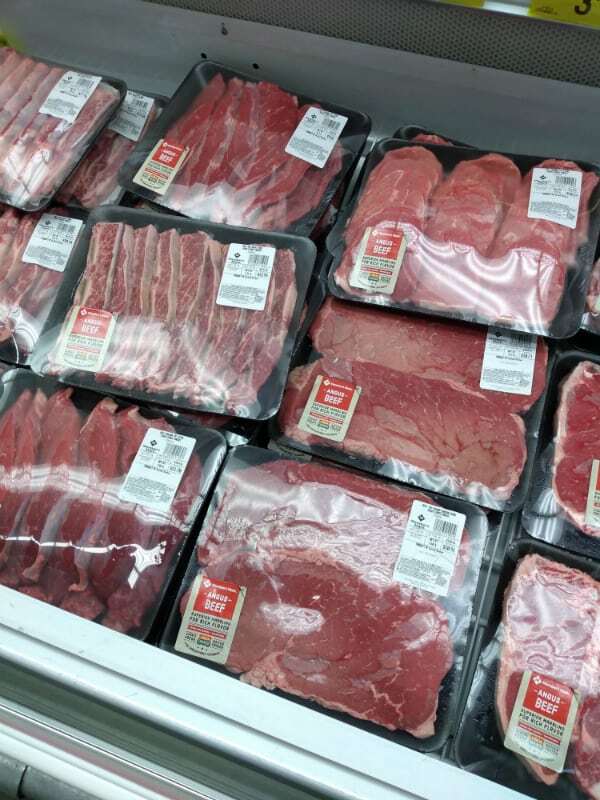 For example, beef that is graded “choice” and not aged a minimum of 14 days…..will most likely be less expensive than 21 day or longer “choice” beef…..and then within the “Choice” grading there are a minimum on 3 levels of “choice”……if you don’t know what the criteria is than you don’t know what you are buying. Another example would be the “Trim”…..is the trim a 1/4″ and is it a 2″x 2″, 1″ x 1″, 0” x 1″…..most likely the price is dictated by the amount of fat left on the piece of beef. The more fat the less expensive the piece of beef. The better the trim the more expensive the piece of beef. Thank you for the comment. Great information. You make an excellent point. The reason I wrote this post was to post the prices for my readers that wanted to know and some ways to use various cuts. Quality is a whole another story. I really don’t think Sam’s Club offers the best value and some of those prices aren’t even the cheapest I have found. I have places I shop that I know I can get a similar if not better price and end up with a better quality product. I always look for beef that is raised without antibiotics and hormones added to their feed. Grass fed (without toxic spraying nearby) would be the preferred if you can narrow down to this level before purchasing (local versus store bought in the market). I would pay more for beef that contains no rbgh/rbst hormones. I don’t care to pay for hormones in the cheaper cuts of beef as I will eventually pay medical costs for consuming. So purchasing the higher priced beef (meats) without growth hormones is actually cheaper in the long run. Thank you for educating on the varying cuts at Sams. If people purchase these and “save money” over other market prices, hopefully they actually save it for eventual medical costs of consuming. Ypsilanti Sam’s Club (store #6667) is the worst branch ever. Things are unorganized and people are rude. The last person you want to speak to is the manager. Very rude and irresponsible. The other day I had an issue due to lack of organization in the club. Instead of apologizing and correcting the problem, this manager scolded me, turned away, and walked away from me. I am never going to this branch again. I wrote to the Sams Club Customer service, and if I did not receive a satisfactory reply, I will cancel my Sams club membership and join another wholesale provider in town. Save yourself a bad experience and avoid this branch. Sorry to hear you had such a bad experience. I honestly don’t shop there myself, just collect information. I only have a Costco membership right now.